Quiet Barrier™ Tape effectively seals the seams between sheets of Quiet Barrier™ or Quiet Barrier™ Foam Composites. Quiet Barrier™ Tape has the same noise blocking and sound damping qualities as our Quiet Barrier™ Soundproofing Materials. Quiet Barrier™ Tape has a Pressure Sensitive Adhesive backing for an easy “peel and place” application. Quiet Barrier™ Tape has excellent resistance to chemicals and petroleum products. At Soundproof Cow, we know something is needed to keep noises from slipping through the cracks. Enter affordable, easy-to-use, noise-reducing tape. It helps you make the most of your soundproofing efforts by sealing the gaps in between acoustic foam padding and other barriers. Dimensions 3 in. x 8 ft.
Soundproofing tape provides you with the finishing touch you need to make the most of your acoustic barriers. Improved Soundproofing Performance — Your wall or ceiling assembly is only soundproofed if seams of our Quiet Barrier™ are bonded and sealed. 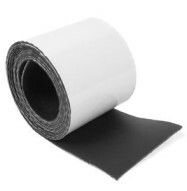 Quiet Barrier™ Tape will effectively bond and seal sheets of our flexible soundproofing materials. The better the seams are sealed the better the overall performance of our sound blocking materials. Ease of Installation — Quiet Barrier™ Tape has a Pressure Sensitive Adhesive (PSA) backing for an easy “peel and place” application. Sound proof tape has never been easier to work with. Avoid a mess and hours spent putting sealants in place with strip-and-stick adhesive protection. 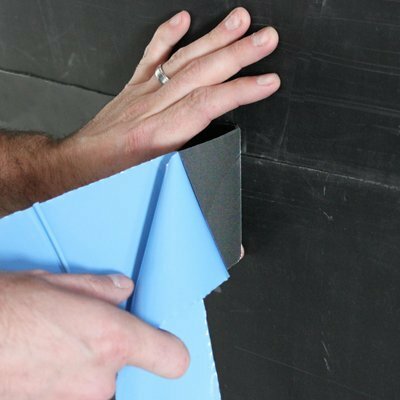 The tape is a perfect addition to our Quiet Barrier™ line of products, and it doesn’t require any special training to get right. This is one of the DIY acoustic control jobs many homeowners can perform on their own with a high rate of success. Low Profile — The total thickness of Quiet Barrier™ Tape is 1/16 in. and will easily fit in locations where space is limited. It will not cause wall or ceiling finishing materials, like drywall or paneling, to distort or bow. As tape is applied to existing materials instead of the wall, removal is a snap. Aesthetically, it creates a seamless appearance when applied to other Quiet Barrier™ products. Protect the look and sound of your home studio, home theater and similar areas. In-stock — We stock large quantities of Quiet Barrier™ Tape. Most products are shipped the same day they are ordered and arrive at your project in one to three business days. The use of noise-reducing tape is often the final step in applying soundproofing materials to walls, ceilings and flooring. If forgotten, your acoustic foam panels and other products won’t perform their best. Successfully block and absorb sounds in any space by choosing the most appropriate accessories for every job. 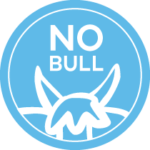 Talk to a Soundproof Cow Account Manager today about stocking up on the appropriate tapes, tacks and other accessories needed to put your soundproofing in place. You can also request a FREE acoustic analysis to ensure every product you purchase will suit your needs best. I originally bought the Quiet Barrier Soundproofing Material only, so I was pretty disappointed when I had everything put up and I was still hearing things pretty well. I called in to see what was wrong and they told me that if the seams are left uncovered sound will be able to leak through. I ordered the Quiet Wrap convinced it wouldn’t do anything and I would be angry at spending more money, but I stand corrected. The tape sealed up everything and I heard the reduction I was looking for.